Bath & Body Works is one of the world's leading specialty retailers and home to America's Favorite Fragrances®. We offer a breadth of exclusive fashion fragrances for your body and your home, including the #1 fragrance collection in America, Japanese Cherry Blossom; the #1 selling 3-Wick Candle and the #1 selling Hand Soap collection. Experience it for yourself at any one of our more than 1,700 Bath & Body Works or White Barn stores across North America, or online at BathandBodyWorks.com. We are looking for goal-oriented professionals who love to sell and work in a team environment. We reward exceptional results with competitive wages and provide great opportunities for advancement. Work with us during the holiday season and other peak times. We offer a generous merchandise discount and a competitive hourly wage. At Bath & Body Works, we are driven by passion for our products and believe our customers rule! Join our field and store leadership team, where you can build a great career while being rewarded with competitive pay, sales incentives and benefits. 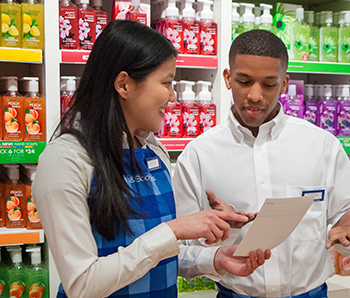 Bath & Body Works associates are collaborative, innovative and committed to excellence. Whether you are a college graduate just starting your career or an experienced professional looking for your next challenge, we welcome you to visit the L Brands career site and explore our exciting opportunities. Our home office functions include: product development, design, finance, human resources, digital and information technology, marketing, merchandising, merchandise planning and allocation, store operations and visual merchandising.